The vast majority of employees are entitled to overtime. This is the case even if they sometimes supervise employees and even if they are paid a salary. In fact, assuming you aren’t entitled to overtime because you are paid a salary is the most common mistake we see. That simply isn’t the case. Instead, you are entitled to overtime unless you are paid a salary AND you perform certain types of duties. Learn more about denial of overtime. Steffans Legal has represented a number of employees in Middlesex County in unpaid overtime cases, including in Waltham, Medford, Marlborough, Framingham, Malden, Arlington, Woburn, Melrose, Lexington, Billerica, Reading, Wakefield, Winchester, Stoneham, and Wilmington. During our 13 years of practicing law, we’ve focused exclusively on employment law. We don’t dabble in employment law: we focus on it. It’s our thing. During that time, we’ve represented individuals in Middlesex County on an individual basis, in class actions, on a group basis, and in collective actions. We’ve handled unpaid overtime cases in all sorts of industries, including manufacturing, retail, technology, transportation, education, and in the service industry, to name a few. In that time, we’ve encountered all types of overtime claims, including those involving work performed off the clock, employees not being paid overtime who are paid a salary instead, employees not getting time-and-a-half for all overtime hours, and not paying employees for work performed over meal periods. 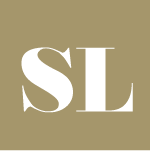 Steffans Legal provides all initial consultations free of charge, regardless of how long they take. We usually do these initial intakes over the phone. But we are happy to do them in person if you prefer. Our Lowell office is conveniently located in downtown Lowell on Merrimack St.
We almost always represent individuals regarding unpaid overtime on a contingent fee basis. That means we don’t get paid unless you get paid.